I want to be a good boy scout. I don't want to lead anyone into error. I don't want to hear God tell me on Judgment Day: "You put this lie into the brains of these poor uneducated well-meaning Christians who trusted your intellect". 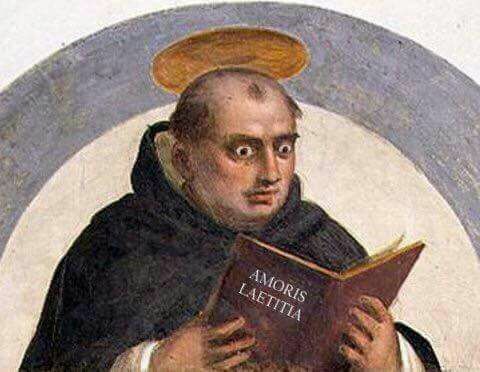 That being said, if I were the General of a powerful Catholic military order, like the Templars many centuries ago, I would have Jorge Mario Bergoglio kidnapped, then I would publicly ask him five simple questions, and if he refused to answer, I would have him court martialed for High Treason and then put in front of the firing squad. 2) Saint Peter's successor refuses to confirm the Faith of his brethren? 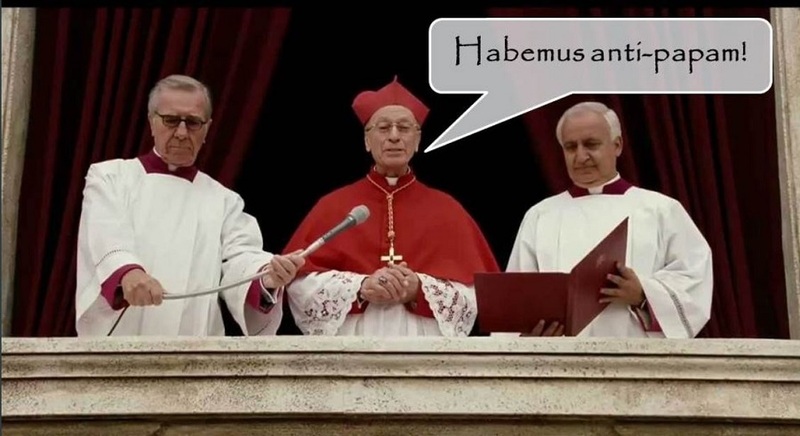 On September 19, 2016, four cardinals (Walter Brandmüller, Raymond L. Burke, Carlo Caffarra, Joachim Meisner) sent five "dubia" (i.e. "doubts" or questions) to Jorge Mario Bergoglio. As far as I know, this is the most official, most formal, most polite, most respectful, and most traditional attempt (so far) at getting Bergoglio to tell us which side he is on. 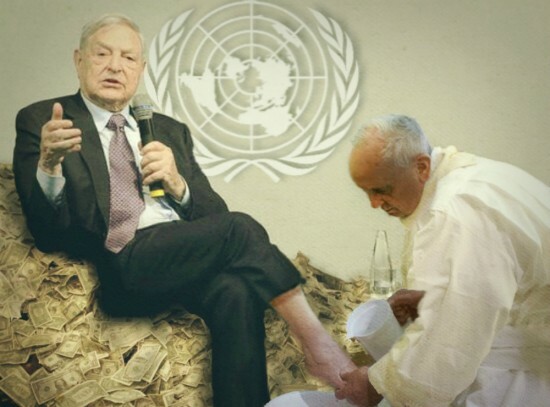 Bergoglio apparently refused to answer their questions, and instead indulged in his usual public mud-slinging toward traditional Catholics. Except the questions were very cleverly crafted, and admit no answer other than "yes, yes" or "no, no", everything else is of the Devil [Mt 5:37]. So Bergoglio's refusal to answer yes or no, is in itself an answer, as correctly notes Louie Verrecchio in his blog post of November 18, 2016. 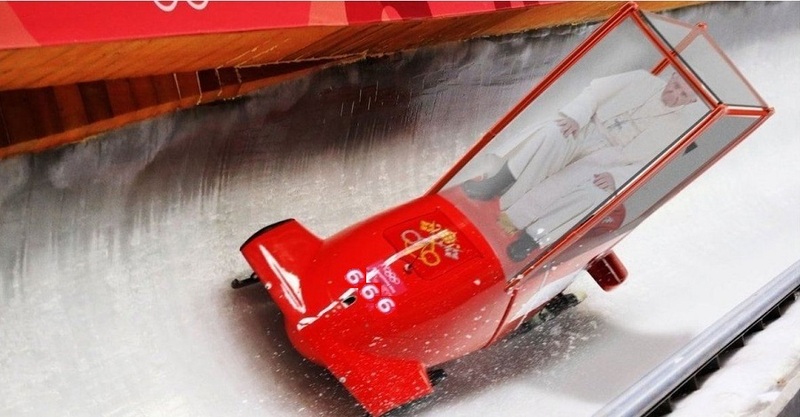 3) Put the Pope in front of a Firing Squad? Really? As you all know already, the only "mortal sin" during a debate is to disagree with one's own position. If the position that you choose to defend is so awful that you yourself disagree with it, then the problem is your position, not the person in front of you during a debate who manifests just how bad your position is. Should we really put the Pope in front of a firing squad? Let's assume Bergoglio is telling the truth. In that case, we cannot assert that putting the Pope in front of a firing squad is EVIL! No! No! We need to truly understand this: in life not all is black on white or white on black [...] The shades of grey prevail in life. Going downhill very quickly... is this a metaphor for something? 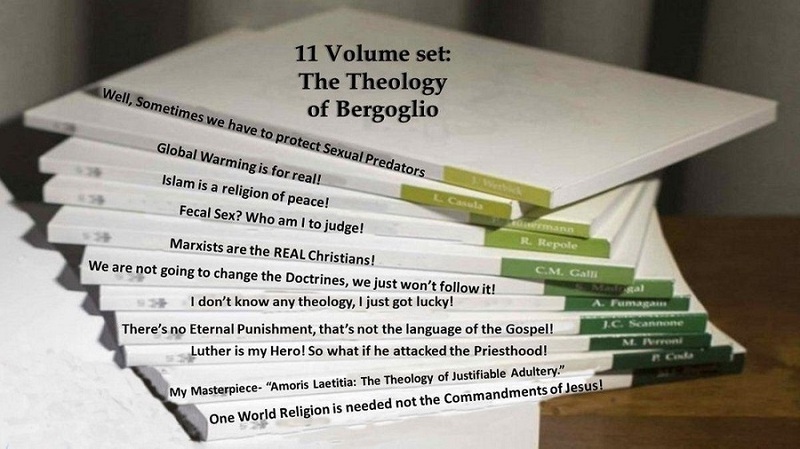 Actually, Bergoglio's Amoris latitiae gives us all the theological tools to "justify" just about any crime. See among others Extremist Religious Leaders Must Be Kicked Out Of Canada. 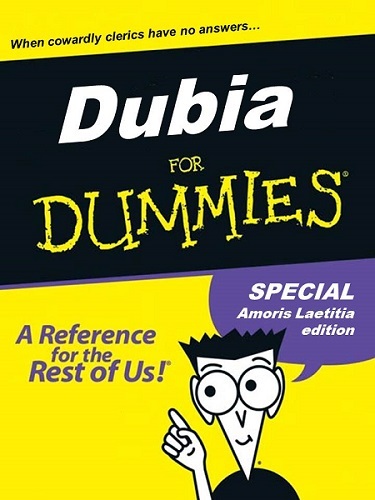 After Amoris Laetitia (303) does one still need to regard as valid the teaching of St. John Paul II's encyclical Veritatis Splendor, 56, based on sacred Scripture and on the Tradition of the Church, that excludes a creative interpretation of the role of conscience and that emphasizes that conscience can never be authorized to legitimate exceptions to absolute moral norms that prohibit intrinsically evil acts by virtue of their object? This question is very clear. If you answer "Yes", then Bergoglio is wrong and I'm right. If you answer "No" (as Bergoglians do), then you cannot assert that putting the Pope in front of a firing squad is evil. My conscience decides that, not yours! - "Profession of the immutable truths about sacramental marriage", 2017-Dec-31, by Tomash Peta, Jan Pawel Lenga, Athanasius Schneider, etc. Here, or here. Also, the canonist Edward Peters in A canonical primer on popes and heresy concludes: "In sum, and while additional important points could be offered on this matter, in the view of modern canonists from Wernz to Wrenn, however remote is the possibility of a pope actually falling into heresy and however difficult it might be to determine whether a pope has so fallen, such a catastrophe, Deus vetet, would result in the loss of papal office". 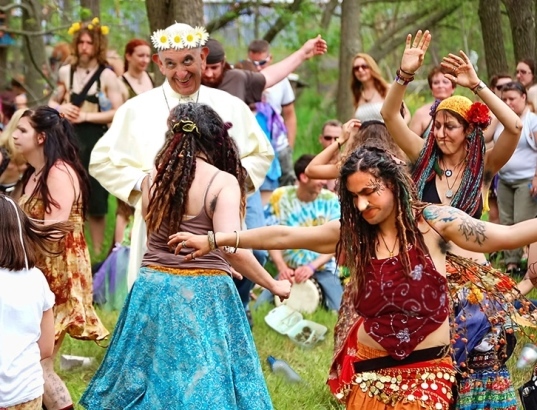 Is Bergoglio an anti-Pope? Fr John Hunwicke, in a blog post also dated November 18, 2016 and called Newman and the current crisis (since then mysteriously removed), condemns sedevacantism, and claims that Bergoglio is "Pope" in a very abstract and formal way only. He was elected, he is biologically still alive, but theologically it's as if the Pope were in a coma (without the advantages of being in a real coma, since his big mouth continues to talk.) Until fairly recently (I'm adding this 2017-August-08), I agreed. I also continue to think that Fr. Hunwicke's advice is still the safest I can offer right now. 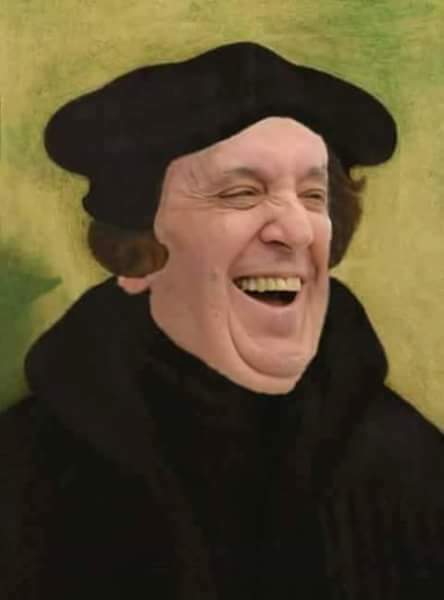 Personally, my opinion is currently that Bergoglio triggered Canon 1364 on himself quite a while ago, therefore even if Benedict XVI had validly resigned the papacy, and even if the meddlings of the St. Galen clique ("Sankt Gallen Mafia") had not made Bergoglio's election invalid, Bergoglio would still be an anti-Pope. I removed the picture of Bergoglio from the home page of this web site. Thank God my Faith is in Jesus Christ our Lord, and not in Bergoglio! I pray for the next Pope to be more like Cardinal Raymond L. Burke, or Bishop Athanasius Schneider, or Saint John Paul II, or Saint Pius X, etc. In the meantime, I continue to pray for the Pope twice a day, whoever he might be either now, or soon. Before Christ's second coming the Church must pass through a final trial that will shake the faith of many believers. The persecution that accompanies her pilgrimage on earth will unveil the "mystery of iniquity" in the form of a religious imposture offering men an apparent solution to their problems at the price of apostasy from the truth. The supreme religious imposture is that of the Antichrist, a pseudo-messianism by which man glorifies himself in place of God and of his Messiah come in the flesh. very important moment in History! 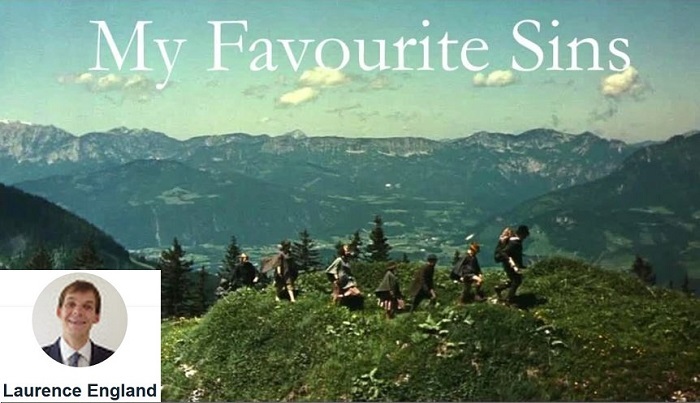 sung to the tune of "My Favorite Things" of "The Sound of Music"